Machine guarding is vital to the safety of workers who operate or work within the vicinity of engineering or industrial machinery, preventing human contact that could result in severe injuries or even death. At Gap Engineering we specialise in the design of aluminium parts that can be used in the construction of machine guards. Limiting access to dangerous areas around a machine. To contain flying particles thrown off from a machine. To protect workers from materials that are broken and ejected from a machine. Fixed guards: These are usually a solid aluminium design and are a fixed structure, bolted to the floor or other surface and cannot be removed. You quite often see fixed guards used with band saws, power transmissions and automatic feeding equipment. As they are often made using aluminium extrusions and aluminium joints, fixed guards provide maximum strength and protection. Adjustable guards: These can be adjusted to suit a variety of different operations, but because they can be adjusted, they do not always provide maximum protection. Even though they can still be made using a solid aluminium design, the problem is that an operator needs to make these adjustments themselves and if they are not careful, they can injure themselves accidently. Self-adjusting guards: These provide more protection than the adjustable machine guards, because the guards automatically adjusts itself to fit the size of the stock entering the machine. This keeps hands away from dangerous areas, but still isn’t as good a safety measure as a fixed guard. Interlocked guards: These are very popular guards, because they automatically shut off the machinery if the guard is opened. This feature makes it easy to remove blockages or jams, but it is important that the machinery does not restart, simply because the guard has closed – to prevent accidental injuries. All of these guards can be designed from a variety of materials depending on the industry requirements, however the aluminium designs are the most solid and longer lasting. 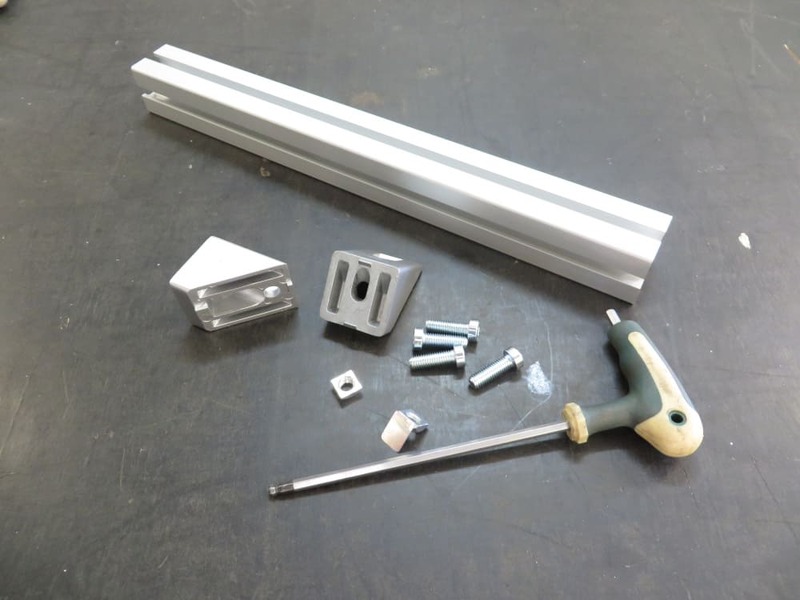 If you are interested in aluminium extrusions and aluminium joints for machine guards, call us on 07 3823 1079 and enquire now for more information. GAP Engineering PTY LTD is a Queensland based engineering company operating Australia wide. We service clients from the Coal Seam Gas Industry, NBN and Major Infrastructure projects to smaller locally based businesses.